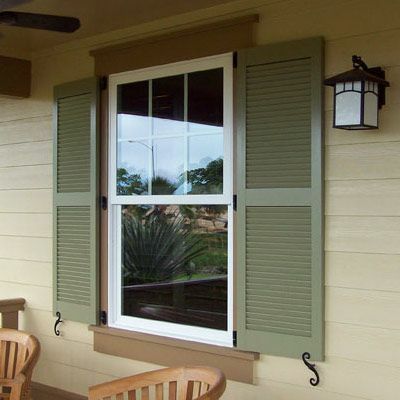 Our highly skilled shutter professionals can paint, refinish, repair, replace, or install any type of shutters. We have years of experience, and have an eye for design and excellent craftsmanship when it comes to exterior and interior window shutters. Too many times customers hire a company that it is not qualified and the work is compromised, leaving things unsafe and sloppy. Not only will we do all the shutter work on your home, we will always quote you a fair price for all the labor and the materials needed. The quickest way to contact us is via the form, and please describe your shutter project in detail so we can prepare the most accurate quote.